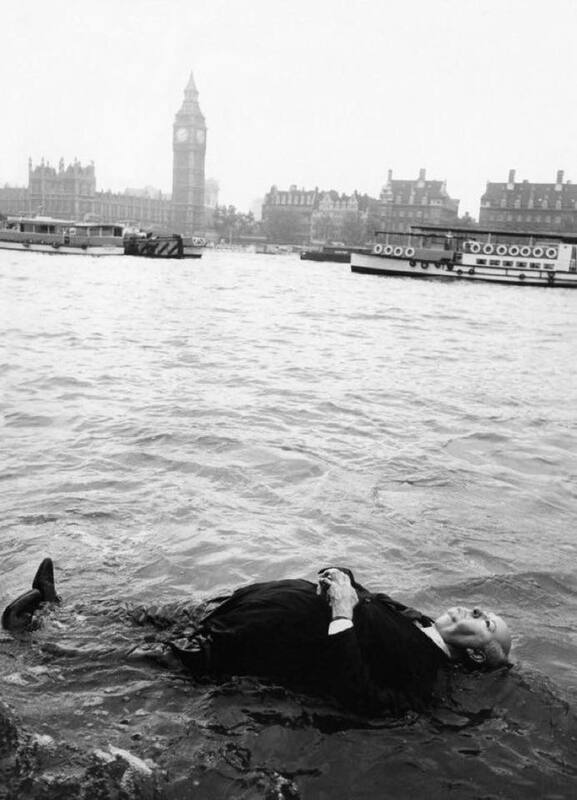 Is this a photo of Alfred Hitchcock floating on the river Thames, 1960s? That is not Alfred Hitchcock, but a mannequin (a dummy) that looks like him. It was used in a trailer for the movie Frenzy (1972). 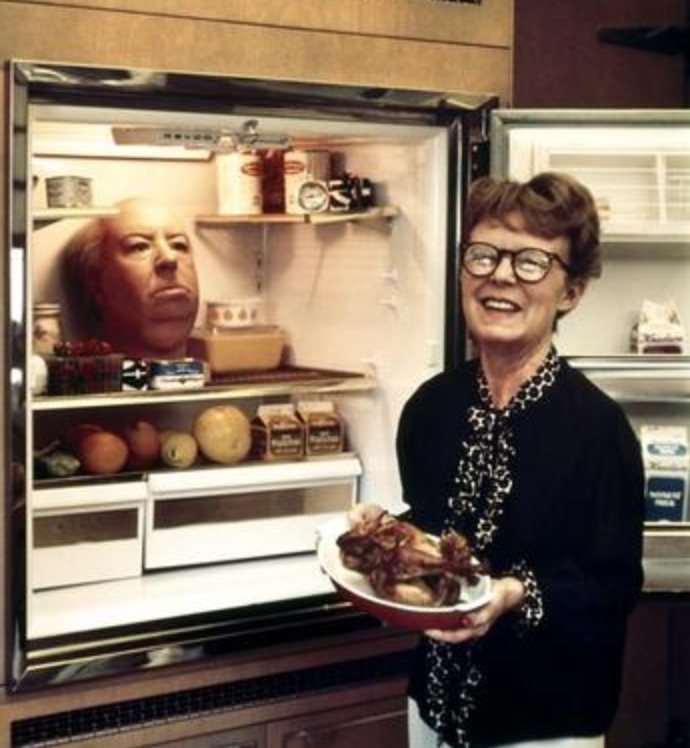 The head of the dummy can be seen in the next photograph of Alma Reville at her Bel Air home. Photograph by Philippe Halsman, 1974 via Magnum Photos.